I know every week I say what I am posting is the most amazing WoW Wednesday project, but I am telling you I am in love.love.love with this one for sure! First of all any blog called Poofy Cheeks needs to be featured in my opinion, however Kelsey made this adorable summer bucket list with her family and displays it in the most creative way! 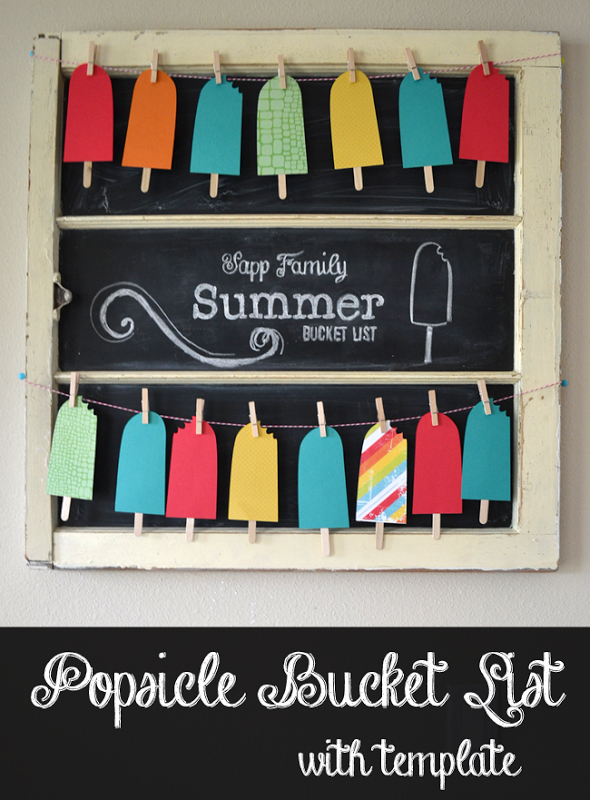 Head on over to meet Kelsey and her family and see just how she made this adorable Popsicle Summer Bucket List here! Do you want to see other WoW Wednesday projects just jump right over to here! If you have a project you want me to see show me on Facebook! You are very welcome, Even my teenage daughter loved it! We too are annual passholders! Have a great time and I hope you get to do everything on your bucket list this summer!